The green color in Malachite comes from the combination of copper and water. If there is a high water combination with the copper, the shade of green is lighter. As the water levels decrease with copper, the darker the green appears. Egyptians began mining Malachite as early as 4000 BC. 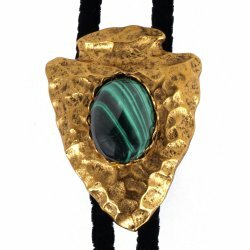 Malachite was worn to protect against black magic and sorcery, so the ancient Greeks made amulets for children. Malachite is said to bring tolerance, flexibility, patience and stabilizing influence. Malachite is the anniversary gemstone for the 13th year of marriage.